Kaspersky Labs has released its final stable versions of its latest 2015 products including antivirus and internet security. Interestingly, the first country in which Kaspersky 2015 products have been launched is Bangladesh. Let’s quickly go through the features of the product suites and then head to the download links. Kaspersky has greatly improved its user interface and then was users can access different options. The main screen shows the current status of system protection. You can directly scan the system from the main window and update the product. Safe Money and Parental Controls have also been added to the main window. There are a few tools that have been removed from the default installer and some services are deactivated by default. Kaspersky Virus Removal Tool and Kaspersky Rescue Disk Wizard have been removed from installation which makes the total size of installer somewhat easier to download. The anti-spam feature is switched off my default. The users who use Desktop clients can enable this feature when needed. Apart from the tools which are provided by almost all security suites, anti-camfecting is a new feature which has been introduced in Kaspersky 2015 products. Camfecting is a process of hacking and taking control of a users webcam without without the user’s permission. Anti-camfecting feature is available in Kaspersky Internet Security 2015. Another new feature of Kaspersky Internet Security 2015 is the wi-fi connection service. This service helps protect against wi-fi vulnerabilities. It’s safety connection tuneup tools makes sure that the user remains protected when communicating using wi-fi. If you want try Kaspersky Internet Security 2015 for 90 days, you may go to this promo link, fill in your information including your valid email information. After you click the submit button, you should get an email with license to activate your Kaspersky Internet Security. 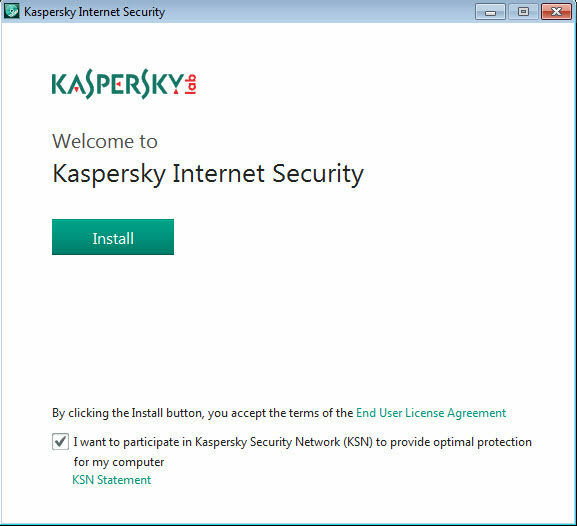 Although this license if for Kaspersky Internet Security 2013, it should work for the latest edition of the product. How to update Kaspersky internet security 2015 offline? Seems like this promo has ended. BTW your comment was detected as a spam by my anti-spam plugin that’s why publishing got delayed.